A wire saw is an essential part of any outdoorsman's kit. Easily packed away into a small space and lightweight, the wire saw is made from two different guages of steel wire which are intertwined to maximise abrasive value when given bi-directional motion. Applying pressure with the saw against a surface will also have an abrasive effect. When not in motion, the saw is perfectly safe to handle normally without risk of abrasion to fingers or hands. 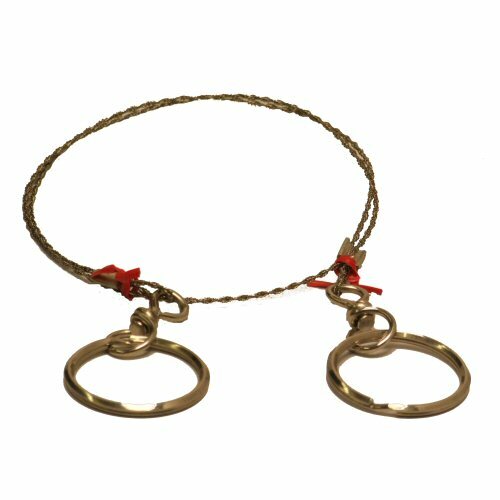 The ends of the saw are fitted with a large keyring type rings for gloved fingers. Saw working length is approximately 50cm.